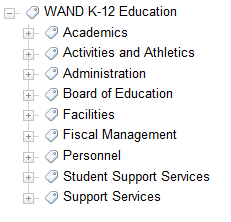 WAND Taxonomies Blog: WAND K-12 School District Taxonomy now released! WAND K-12 School District Taxonomy now released! 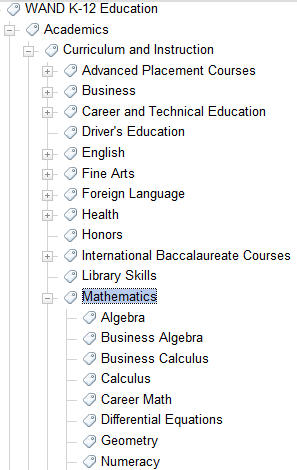 I am proud to announce that the WAND K-12 Taxonomy (a.k.a. the WAND School District Taxonomy) is now available. WAND created this taxonomy to cater to school districts who want to better organize documents and content. 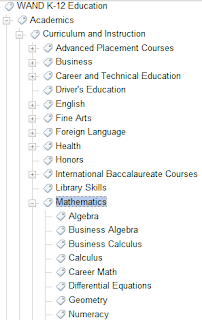 Developed by a former school board member, the WAND K-12 Taxonomy has 733 terms and an additional 359 synonyms covering all the major concepts, processes, and documents that a school district would encounter including academics, activities, athletics, administration, facilities, personnel, support services, and more. The WAND K-12 Taxonomy is a foundation taxonomy meaning it is designed to get a school district a starting point that is 80% of what is needed in a taxonomy. From there, a district can customize the taxonomy with terminology that is specific to that district. Happy Fourth of July from WAND!